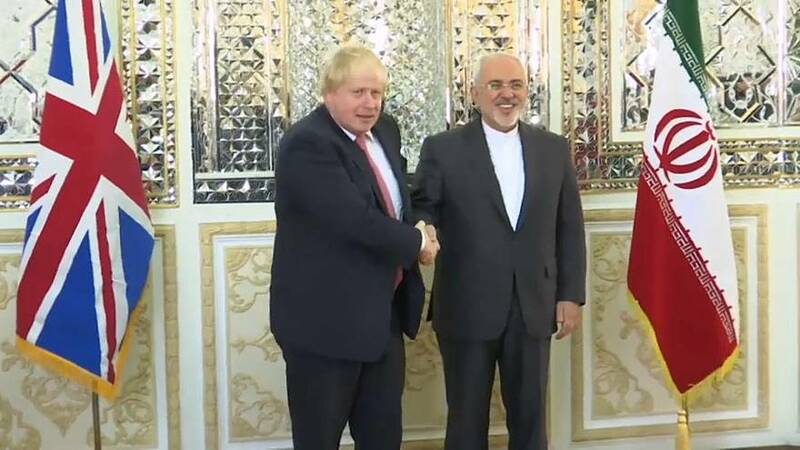 The UK’s Foreign Minister has held highly-anticipated talks with his Iranian counterpart, Mohammad Javad Zarif, in Tehran. It is only the third visit to the Islamic Republic by a British foreign minister in the last 14 years and comes amid a complex backdrop of historical, regional and bilateral tensions. This includes a push for the release of jailed British-Iranian national, Nazanin Zaghari-Ratcliffe, who is serving a five-year jail term on charges of spying. While not the only Briton behind bars in the Islamic Republic, she has become the most high-profile, due to a campaign led by her British husband, Richard Ratcliffe, but also a comment made by Johnson on November 1. Critics said he jeapordised the aid worker’s safety by falsely claiming she had been teaching journalism in Iran before her arrest in April 2016. The Foreign Minister later apologised and clarified that she had been on holiday. Zaghari-Ratcliffe is due in court on Sunday (December 10), according to her husband.